1. 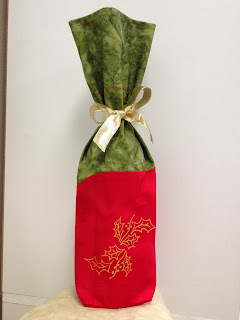 I chose a simple wine bottle bag to allow quilters an opportunity to embellish, piece, design and play on the bag to their heart's desire. This is meant to be a testing ground for new techniques. If you like, I have a full day workshop called Fibre Art Frenzy so click on the link to book a class for your guild. 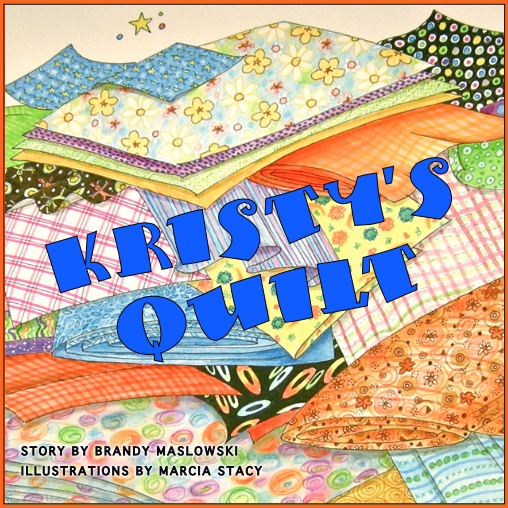 Be sure to add a note that you heard all about it from Canadian Quilt Talk! 3. You can literally pull together an adorable bag in under 10 minutes depending how crazy you go with embellishment. I already have more than a dozen to send in myself. I'm having so much fun using up leftover fabrics from quilt projects and all those fat quarters I keep collecting, and collecting, and collecting! 1. 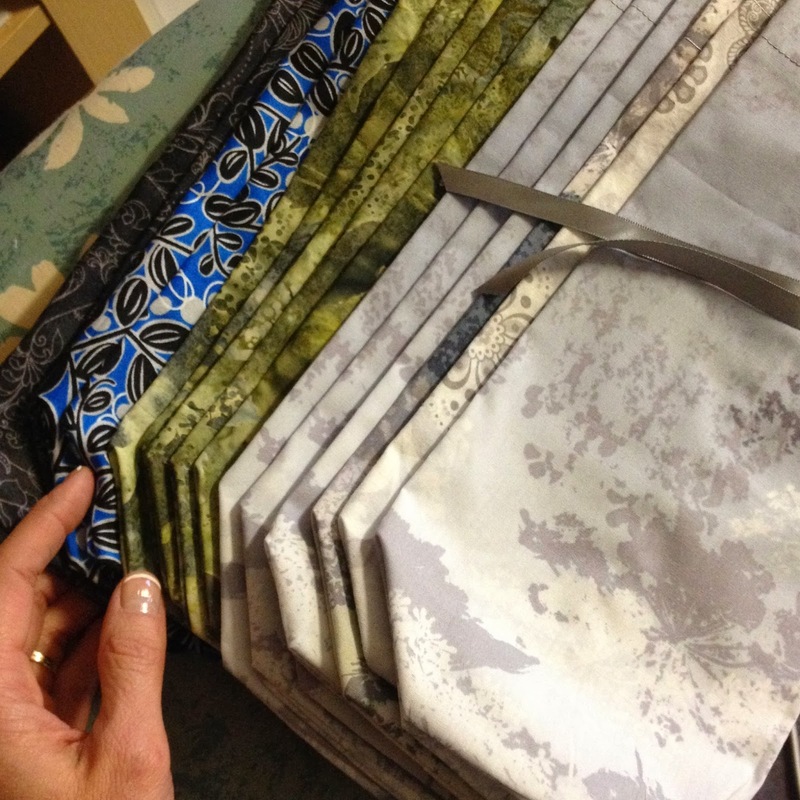 FOLD the 12" x 20" fabric lengthwise right sides together inserting the fold of the ribbon 9” down from the top. SEW the long side of the bag capturing the ribbon inside, and SEW the bottom of the bag. PULL the ribbon up so it is hanging out of the top of the bag. 2. CREATE a boxed bottom by folding the 2 corners into triangles. 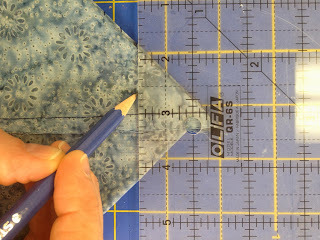 STACK the 2 triangles and mark a 1-1/4" line on one, fold it back and mark the other. SEW on the marked lines to create each boxed corner. SNIP off the triangles leaving a 1/4" seam allowance. LEAVE the bag inside out and STUFF the ribbon down into the bottom of the bag. 3. FOLD the raw edge opening down 4" wrong sides together and remove the wide base of your machine to sew the cuff. BE SURE the cuff measures 4” all the way around and lies completely flat. SEW the top edge (your bobbin thread will be on the decorative side). Then SEW a 1/4” seam allowance on the raw edge 4” in from the finished top of the bag, carefully turning it around your machine base. TURN the bag right side out, CLIP all threads and VOILA! 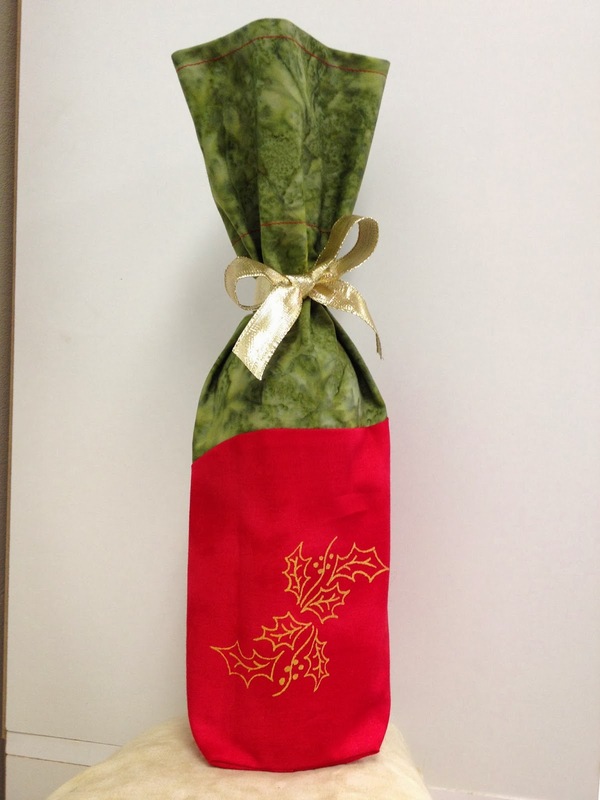 You have a lovely gift - all you need is a good bottle of vino! 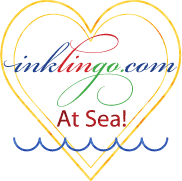 Do you have a quilting technique you are struggling with or is there a quick tip or trick you've always wanted to learn? Send me your questions anytime to info@explorefibre.com.